AudioTranscription.Org was featured on KillerStartups.com! KillerStartups.com called us “a provider of transcription services of the highest quality.” More of their great comments can be found on our About Us page. We’ve grown considerably over the last few months and, accordingly, it’s time to scale our transcription team. If you’re interested in working as a transcriptionist for AudioTranscription.Org, please visit our transcription jobs page. Happy Thanksgiving — and Savings! Welcome to the launch of the new AudioTranscription.Org! We hope you’ll look around, check out our range of transcription services and maybe read a blog post or two. 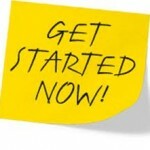 When you’re ready, just fill out our “Get Started” form. If you have audio files, we can deliver fast, accurate text.